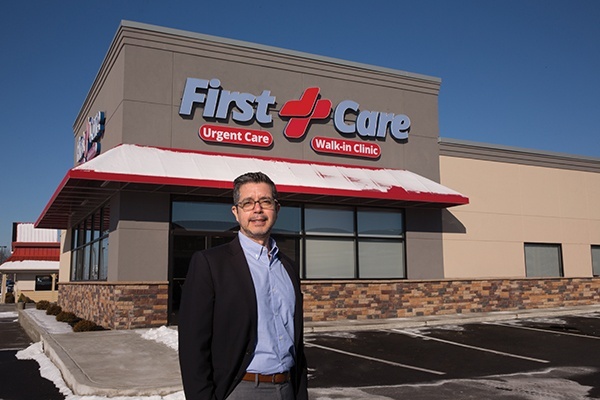 Providing high-quality health care at affordable prices to areas of the country that are under-served is a need that Rob Pantoja identified early on in his career. When he decided to start First Care Clinics in 2014, he knew he wanted an urgent care model that offered exceptional care to families and people who weren’t always able to receive it. No matter what kind of insurance their patients have, First Care Clinics makes sure to treat their patients as equals. Compared to other financial institutions he had spoken with about financing, Stearns Bank stood out because of how open and up front it was about how the SBA financing process works. “They were direct about what they can do,” Rob said. “We’ve worked with other banks in the past where they over promise things and don’t deliver. During our start-up phase, if the answer was no, we needed to know right away so that we could move on with other financing alternatives. Rob credited Stearns Bank for helping things move along smoothly during First Care Clinic’s start-up phase. The promptness that Stearns Bank displayed by getting back to him quickly during the financing process and letting him know where they were at during the review phase, is something he always appreciated. Rob has also used Stearns Bank’s web customer portal to upload his documents to make the loan process go even faster.